Why are so many contemporary poets writing elegies? Given a century shaped by two world wars, vast population displacements, and shifting attitudes towards aging and death, is the elegy form adaptable to the changing needs of writers and audiences? In a sceptical age, where can consolation be found? In We Are What We Mourn Priscila Uppal examines why and how the work of mourning has drastically changed in the latter half of the twentieth century, focusing on the strong pattern in contemporary English-Canadian elegy that emphasizes connection rather than separation between the living and the dead. Uppal offers a penetrating reading of Canadian elegies that radically challenges English and American elegy traditions as well as long-standing psychological models for successful mourning. She sets up useful categories for elegy study - parental elegies, elegies for places, and elegies for cultural losses and displacements - and suggests where elegy and mourning studies might be headed post 9/11. 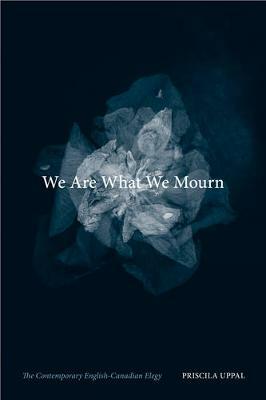 The first book on the Canadian poetic elegy, We Are What We Mourn challenges all previous ideas about the purpose of mourning and will intrigue anyone interested in how mourning shapes cultural identity.